Rent a modern apartment at a fair rate for short or long let. 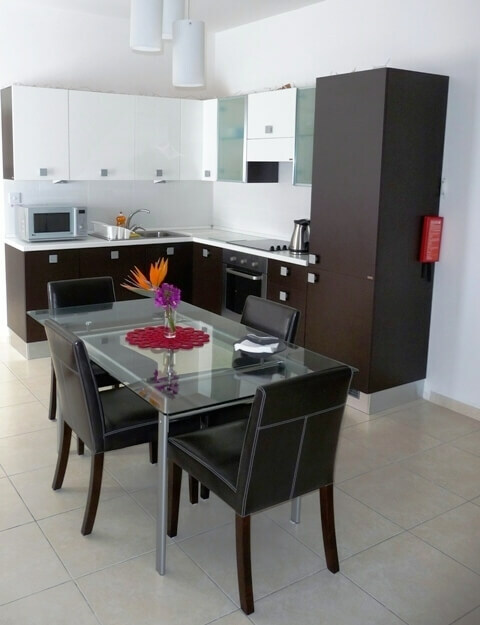 Centrally located in Malta near all amenities. Close to bus stops, making it easy to get around. an ideal location for university students and holiday makers alike. 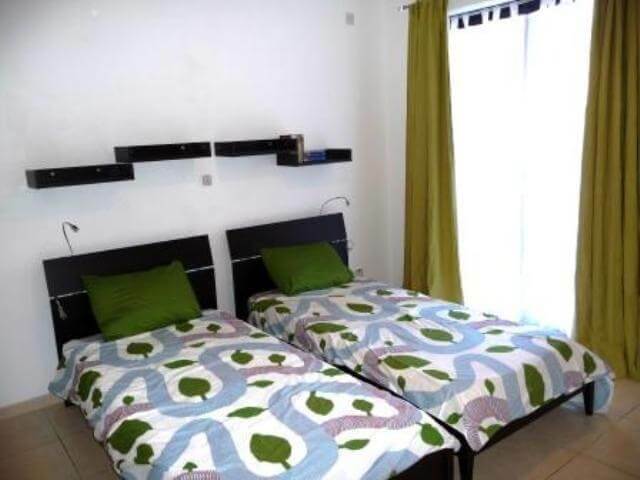 Vista apartment is a modern attractively decorated apartment located in a central town called San Gwann close to Msida, Gzira, Sliema, St. Julian’s, Valletta and Birkirkara. The University and Mater Dei hospital are at around 7 minutes walking distance from the apartment. All amenities and bus stops are also found within a very short walking distance. A Lidl supermarket can also be found close by. The bustling towns of Sliema and St. Julian’s are at very short distance by bus. The capital city Valletta is also just 4 km away and is easily reached by bus. This modern apartment comprises a spacious air-conditioned kitchen-living room with an adjacent balcony overlooking a courtyard, a bathroom and a bedroom with 2 single beds leading onto another balcony furnished with garden chairs and table. The leather sofa in the living room also turns into a single bed suitable for a child. The kitchen is fully-equipped with a ceramic hob and fan oven, fridge/freezer, microwave, electric kettle, toaster and all necessary pots, pans, and utensils. A washing machine is also available to do your laundry. Have a look at our gallery to see some more pictures. 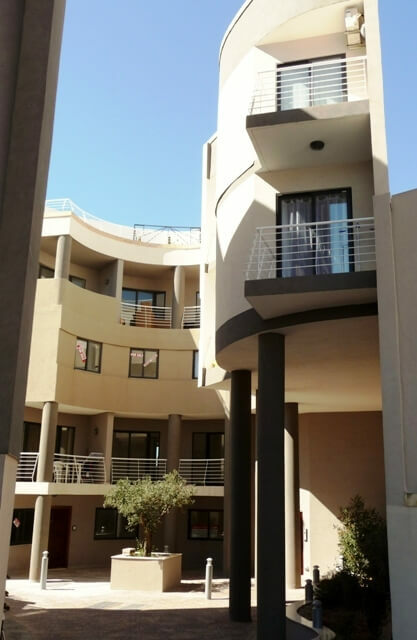 Vista Apartment is at a lovely walk (7 min) from the University and the teaching hospital Mater Dei, which is ideal for foreign students and medical electives. With several bus stops close to Vista Apartment, the Island and its many sites are easy accessible by public transport. It’s easy and cheap to get round from here. For your health and that of others, strictly no smoking is permitted in this apartment. The rate for a long let (one semester) in the winter season is €550 per month for the apartment. Contact Stefie for short stay summer rates. Water and electricity are charged as per consumption at standard rates. A Wifi and TV package is available at €50 per month. A returnable security deposit equivalent to one month’s rent is required upon reservation. The apartment sleeps two persons. Aren’t you lovin’ Vista already? Contact Stefie for further information.